21-22 November 2017. 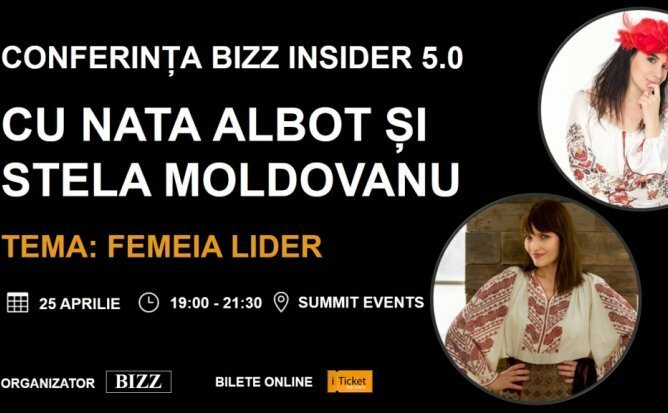 Radisson Blu, Leo Grand Hotel Chisinau. 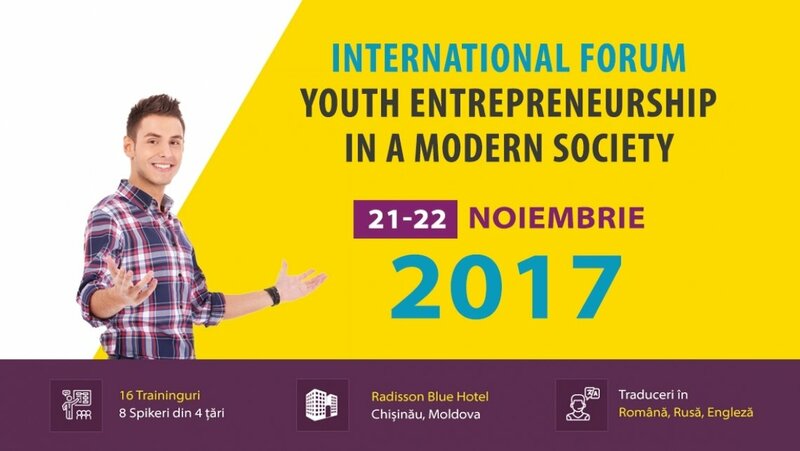 National Association of Youth Managers from Moldova (ANTiM) and Youth Generation Organization with the financial support of EACEA within the Erasmus + Programme of the European Union, UNDP and Ministry of Education, Culture and Research is organizing the International Forum "Youth Entrepreneurship in a Modern Society" which will run between Noiembrie 21-22, 2017, in Radisson Blu, Leo Grant Hotel, Chișinău, starting at 9.00 AM. The 2 days large scale event, conference-forum “Youth entrepreneurship in a Modern Society”, is to provide an opportunity to more than 200 young inspiring entrepreneurs from Moldova, Romania, Ukraine, Italy, Georgia and Armenia to meet, connect, learn, share, challenge and grow. Entrepreneurship is an indispensable element in a prosper and modern society, opening new visions, opportunities and economic grow. Entrepreneurial performances can be guaranteed through a competitive reaction on permanent challenges, increased innovation, raised competition and permanent changing economic opportunities and trends. 12 trainings and informative seminars, parallel panels and inspiring speeches and debates. Presentation of DCFTA (EU-Moldova trade Relations) and meeting young entrepreneurs from the countries which signed the agreement. Share of European programs and funds supporting youth entrepreneurship in its diverse forms. Inspiring speeches and share of good experience with top successful entrepreneurs. Business Exposition aiming to promote and share their products and services, meet the potential customers, set cooperation and expand their business beyond national borders. The Event is to gather decision makers, innovation experts and practitioners (SMEs, business incubators and business support organisations) to generate discussion and exchange on the business environmental improvement and development of social and youth entrepreneurship aiming to impact social, economic and ecological development. In a Modern Society, Modern Youth are Entrepreneurs.